Case of 6 candles. 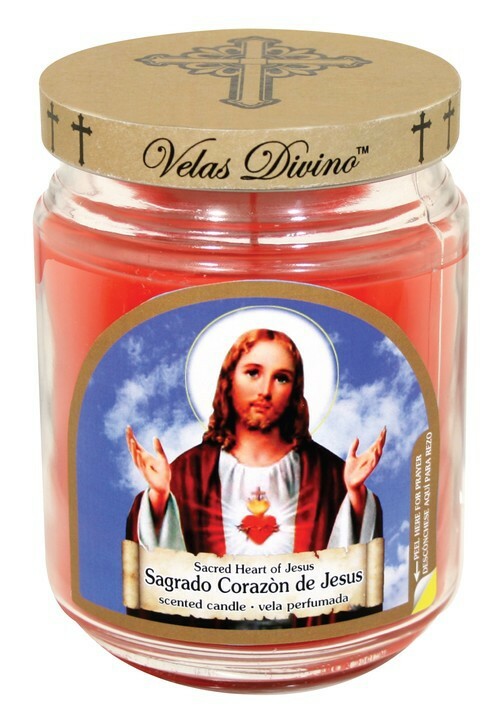 Each candle is 18 ounces and will burn for up to 125 hours. Made from soy blended wax with rose fragrance. 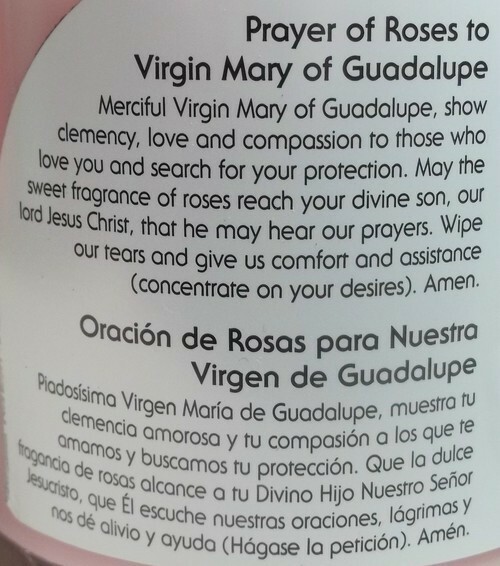 Each candle has a label to can be peeled back to reveal the Prayer of the Virgin of Guadalupe. 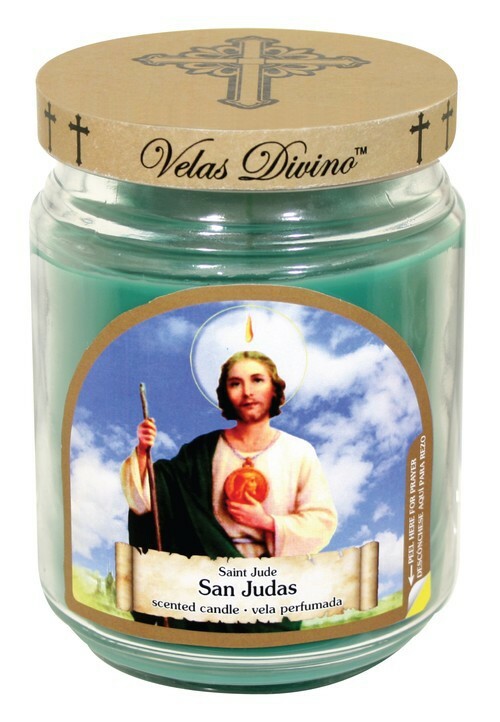 Religious candles has metal lid with beautiful painted religious images. 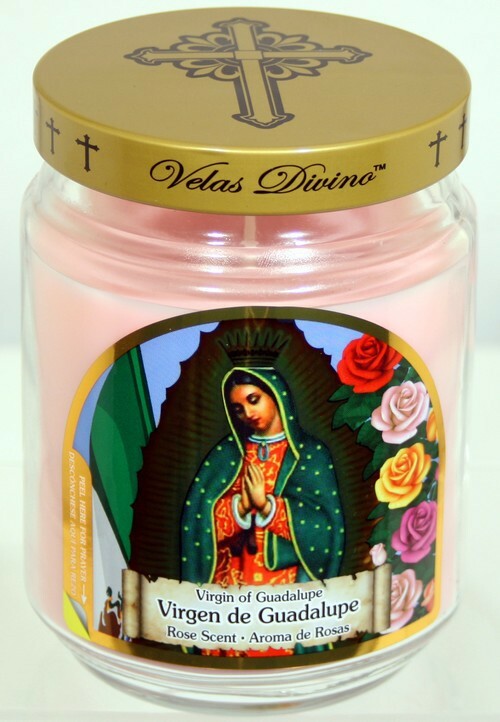 Prayer Candles are made in the USA.